What is CISS Brother MFC-J825DW? 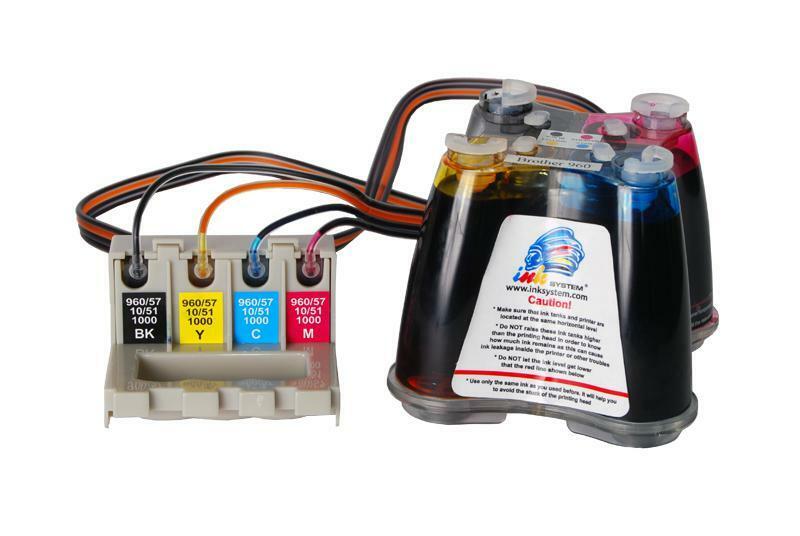 The continuous ink supply system CISS MFC-J825DW is a supplementary equipment for inkjet printers, which can be installed onto your printer instead standard cartridges in order to decrease your expenses for consumable materials. The continuous ink supply system CISS ink system Brother MFC-J825DW is intended to provide stable ink feeding to the print head of the printing device as soon as the cartridge ink chambers need refilling. As opposed to standard cartridges, whose capacity is sometimes too little (15 ml average), the CISS for MFC-J825DW uses external ink tanks, which are significantly more capacious. Due to this, you will be able both to increase your printing output by a lot of times and to use any other ink, which is supplied in large canisters and costs cheaper than original consumables. This type of continuous ink supply system will perfectly satisfy those Users, who have large amount of color printing or those who want to get high-quality but cheap inkjet photo printing, and, of course, it will be good enough for text printing. The system can be used with any inkjet printer model, which is equipped with a built-in print head, because such type of print heads have unlimited duty cycle. A lot of Brother inkjet printer models meet these design requirements, and besides, they can as well use similar CISSs CISS for brother DCP-J925DW and CISS for Brother MFC-990CW. The ciss ink system brother MFC-J825DW makes it possible to refill separately every ink color according to its real consumption, while without the system you will have to replace the whole original three-color cartridge, even if only one of the colors is over.